Perhaps the best built car hauler in the industry! 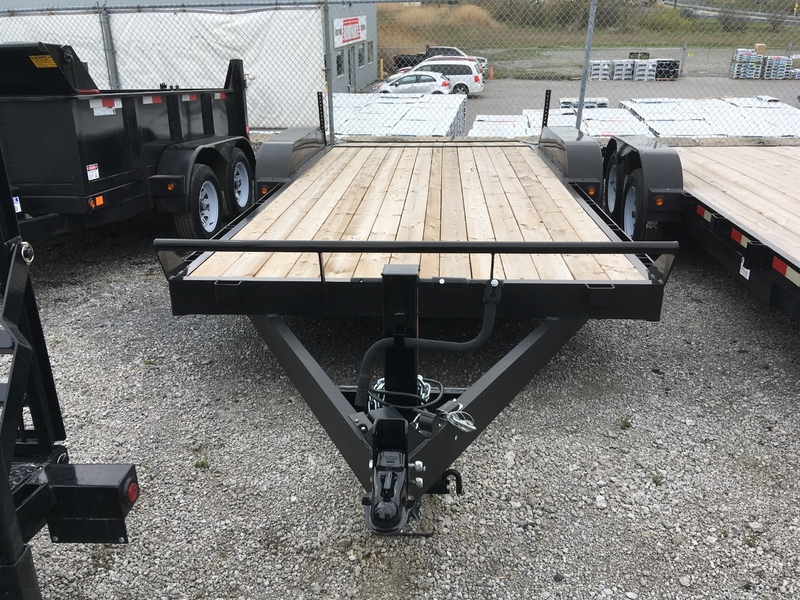 5200lb axles, brakes on both axles, removable fenders, 4' pull out ramps, 6 d-rings, 4' beavertail, 12K spring loaded drop leg jack, A-frame extended to the axles, slipper suspension, pressure treated plank deck, rear stabilizer legs. Great for low clearance cars, and strong enough to carry a pickup truck!